Cowboy Hat Bride 2B White GACOWBTBW. Top the bide to be with this fun cowgirl hat. 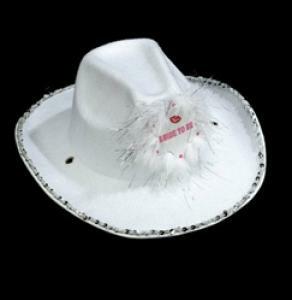 White Bride to Be Cowboy Hat trimmed with furry white material and silver sparkles. One size fits most. OMG International.